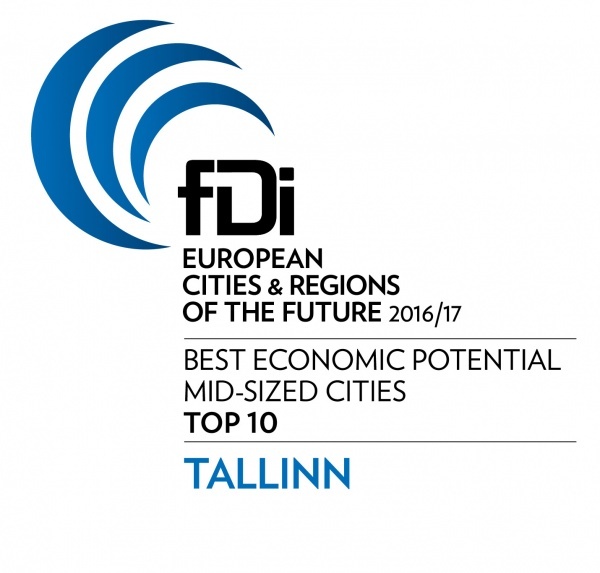 In the European Cities and Regions of the Future 2016/17 compiled by fDi Magazine, which is published by The Financial Times, Tallinn is ranked among the ten European mid-size cities that are most attractive for future inward investment. The economic potential and business friendliness of our investment environment are highlighted. The fDi rankings are compiled biennially. Tallinn has been on included in various categories in 2012 and 2014, but this is the first year that Tallinn as been ranked fourth in the general standings. The assessment of a city or region’s attractiveness as a destination for inward investment is based on its economic potential, work environment, cost-effectiveness, infrastructure and business-friendliness. The rankings are based on almost 90 statistical indicators. The certificates will be distributed at the international MIPIM real estate expo in Cannes, where Tallinn will be participating with a joint booth in collaboration with the Estonian Chamber of Commerce and Industry and various real estate companies.